DESIGNING FAMILY CELEBRATIONS for clients around the world gives us a beautiful opportunity to be a part of their world, if only for one joyous weekend. 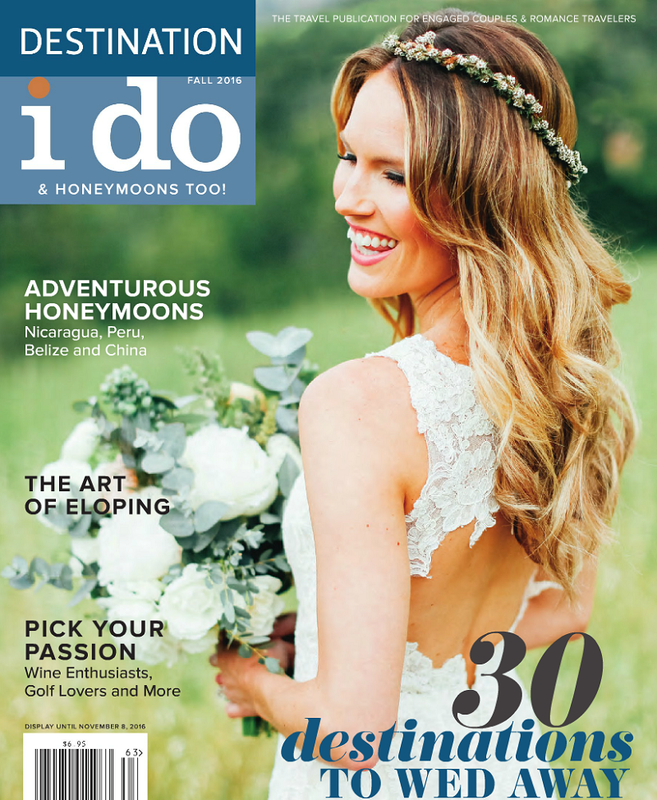 But if you follow our work, you’ll know that we don’t just plan and design weddings. 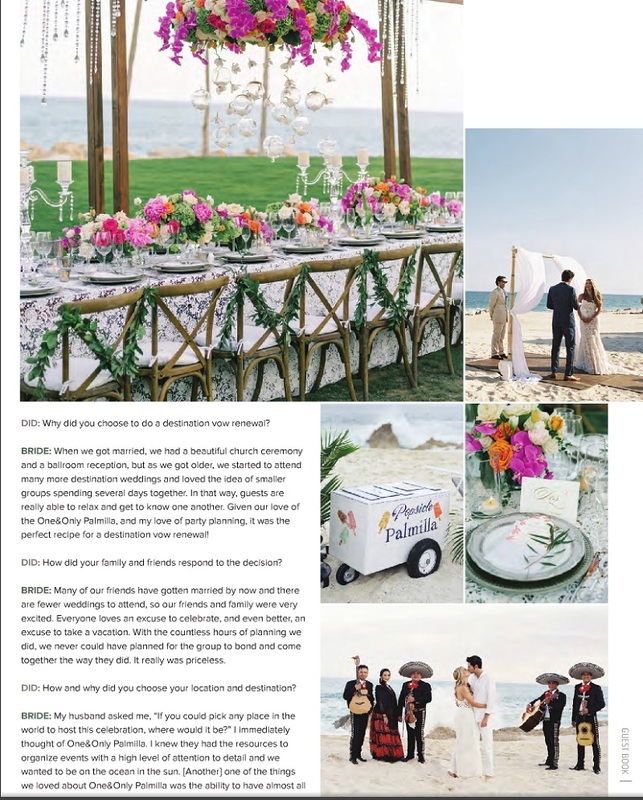 We also custom design other types of lifestyle parties, such as wedding proposals, birthday parties, engagement gatherings, anniversary soirees, retirement parties, and so on, and so on… you name the fun and we’ll be there! 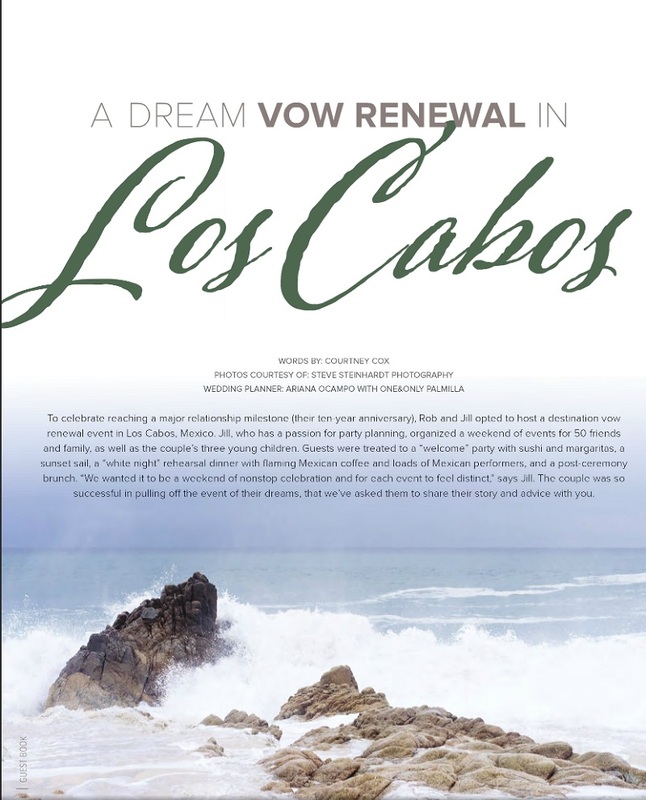 We’ve even had the pleasure of designing a dream vow renewal for a super special ten-year anniversary that took place at the stunning One&Only Palmilla resort in Los Cabos! 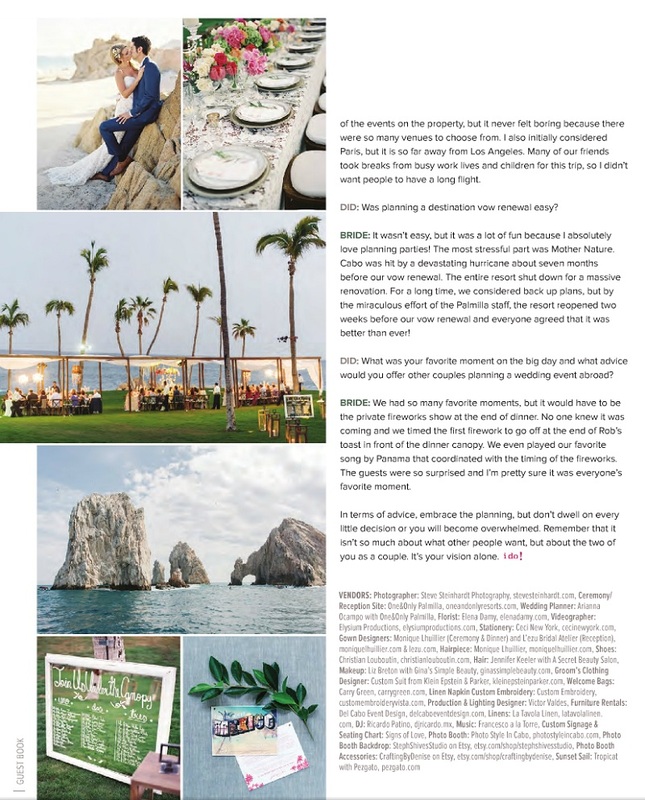 Below, you can read all about it and see many of the gorgeous photos of the event design and floral decor Elena created for this lovely occasion. This oh-so-in-love couple certainly know how to celebrate in style! We can’t wait to share with you more images from wedding photographer Steven Steinhardt of this vibrant event, but until then, enjoy!